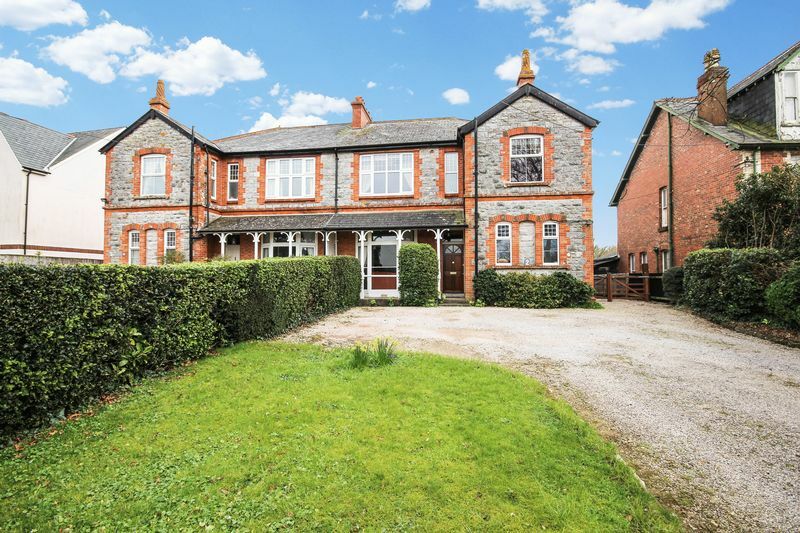 On the market for the first time in 20 years, a very impressive 5 bedroom Victorian villa with a large garden and ample parking, a rare combination for the area! 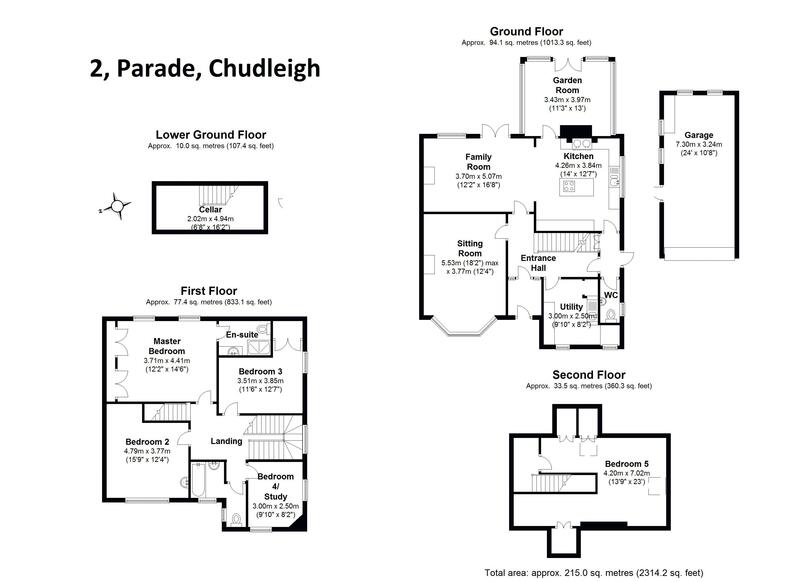 The property is located on the sought after Parade, which offers a short level walk to Chudleigh town centre. 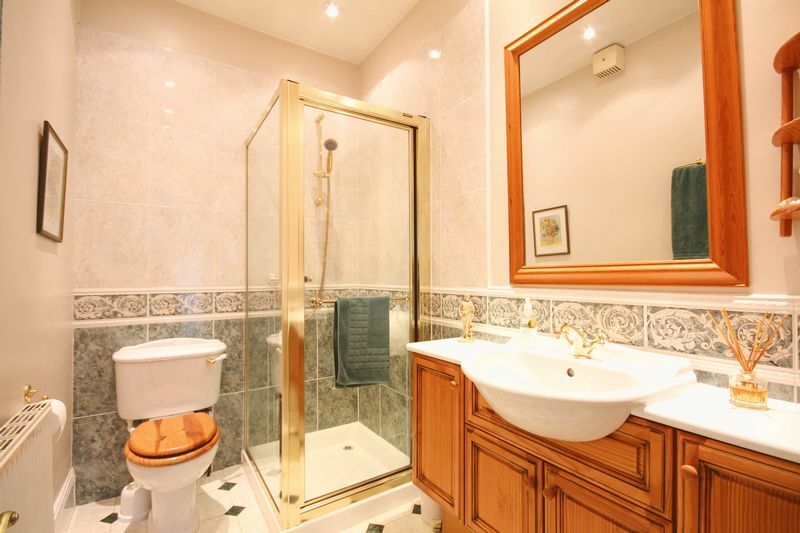 Over the years the current owners have undertaken an extensive programme of improvements including re-roofing, double glazing, refitted kitchen and bathrooms, garden room and new central heating boiler. 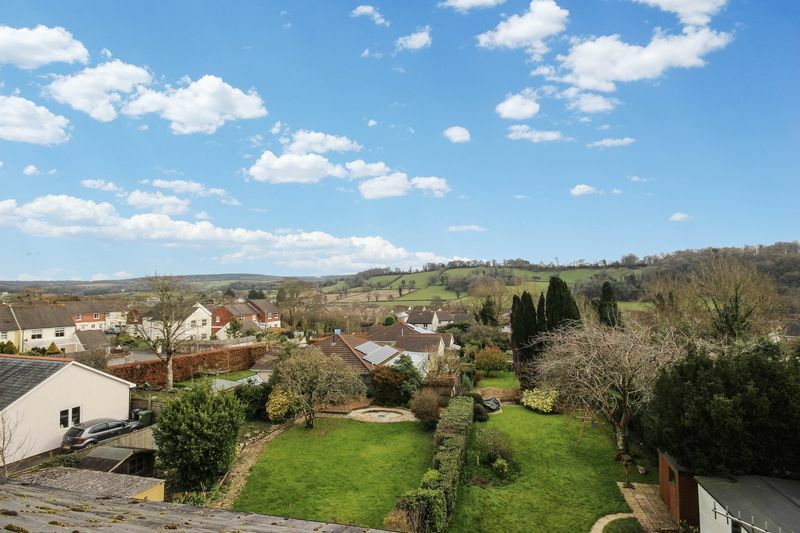 The property enjoys far-reaching views to Dartmoor at the front and towards open fields and tree lined hillside of the South East side of Chudleigh to the rear. 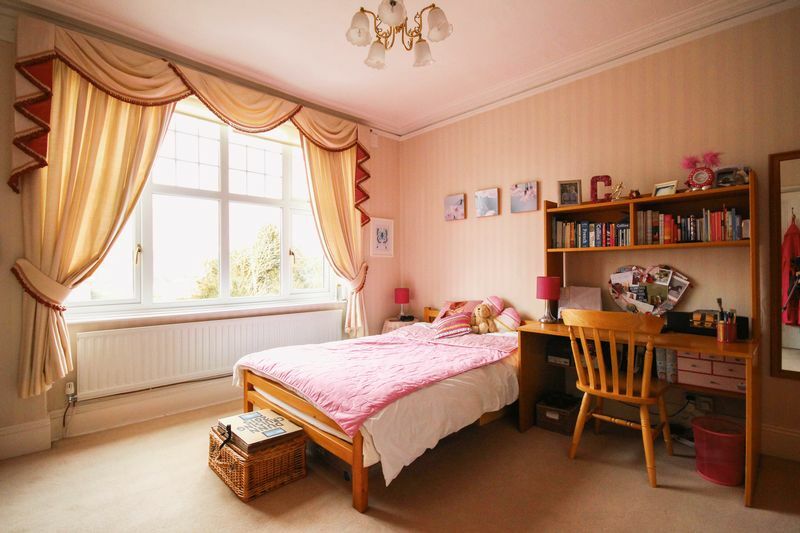 In total the property boasts 5 bedrooms, 4 of which are doubles, master en-suite. Early viewing is recommended due to all this property has to offer. The popular small town of Chudleigh still retains a village atmosphere with lots of community spirit and character, surrounded by unspoilt Devon countryside. Chudleigh sits between Exeter and Newton Abbot, close to the edge of Dartmoor National Park and in the popular Teign Valley. Dartmoor National Park is best known for its striking granite tors, steep wooded river valleys and heather covered moorland, offering a wide selection of recreational opportunities such as walking, cycling, riding and fishing on the River Dart. Many of the region's finest beaches are within easy driving distance. The well regarded Chudleigh Primary School is located in the town along with regular bus services. For secondary schools you have the popular Teign School in Kingsteignton. 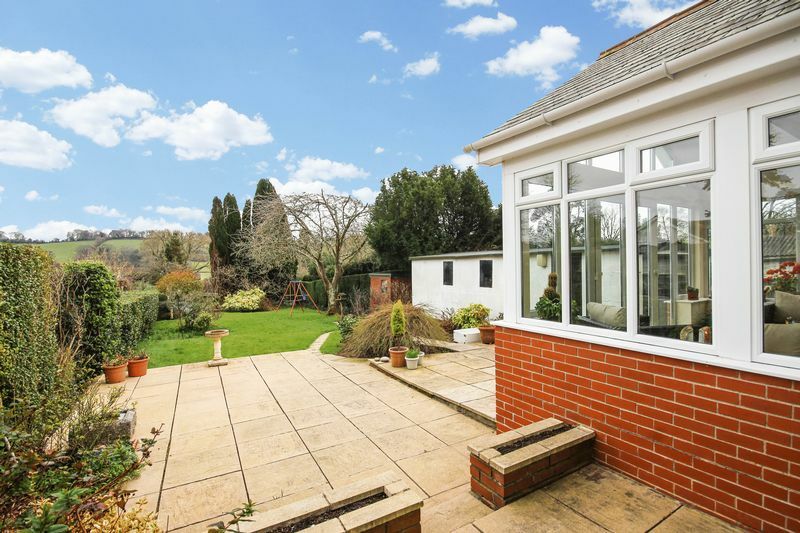 Chudleigh offers a wealth of local amenities including shops, a cricket field, a swimming pool, football pitches, allotments, parks, churches, two doctors’ surgeries, a dentist and a library. For larger shops there are supermarkets in Kingsteignton, Newton Abbot and Exeter. The market towns of Totnes and Newton Abbot have a mainline railway station with direct links to London Paddington. along with Exeter St Davids Station. There is also an international airport in Exeter. The A38 (Devon Expressway) which by-passes the town provides good access to Plymouth, Exeter and the M5 motorway network. The A380 connects Torbay. 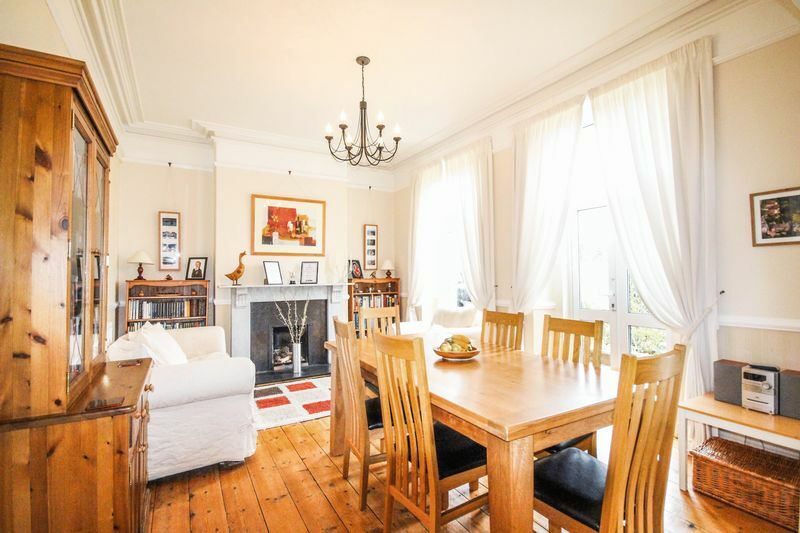 You enter the property via a porch from which a decorative stained glass door opens into the entrance hall, which enjoys a grand and spacious feel. 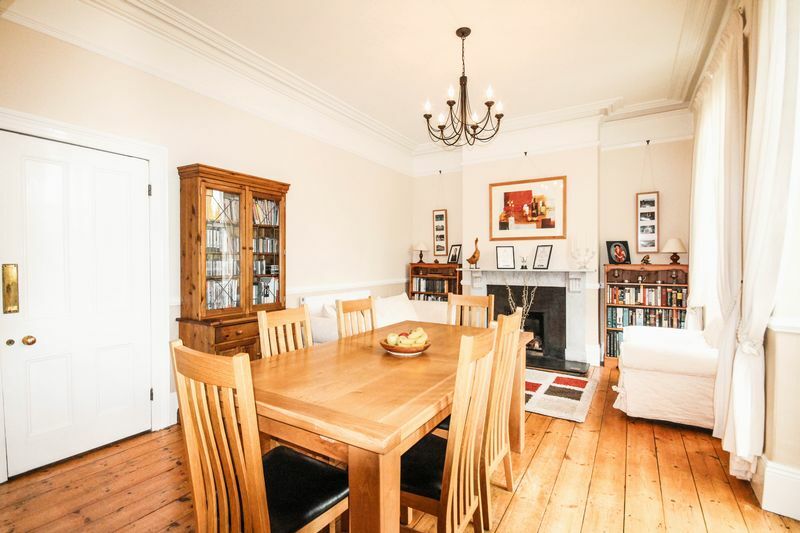 Many of the property’s original features are present, including ornate cornices, dado, picture rails, stripped wood floor boards and fireplace surrounds - just to name a few! 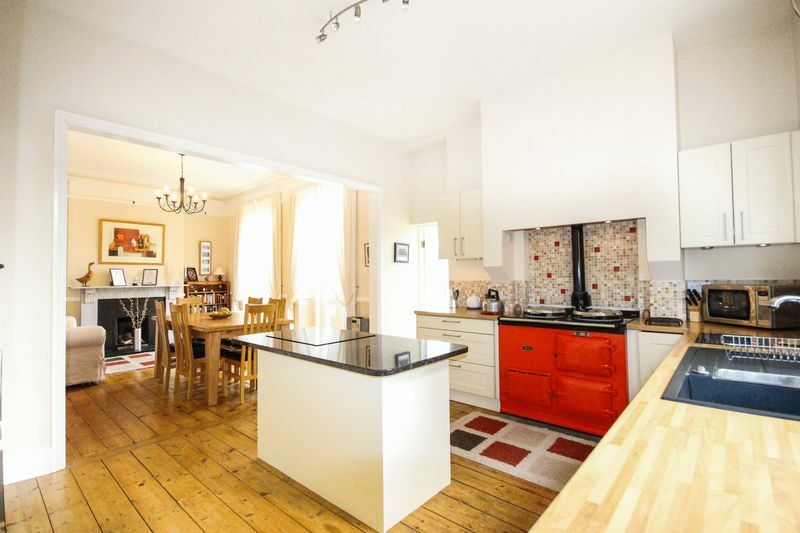 The heart of this property is the kitchen/family room which has beautiful wooden floor boards throughout and impressive cornicing above. 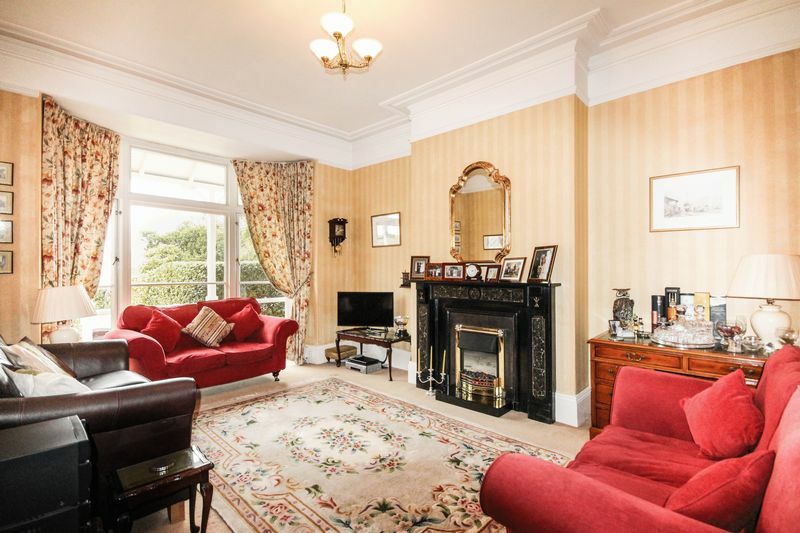 The family room is a good size with space for a large dining room table, chairs and sofas. The kitchen is fitted with a good range of modern wall and base units with rolled edge work surfaces over incorporating built in appliances including Bosch fridge, freezer and dishwasher. 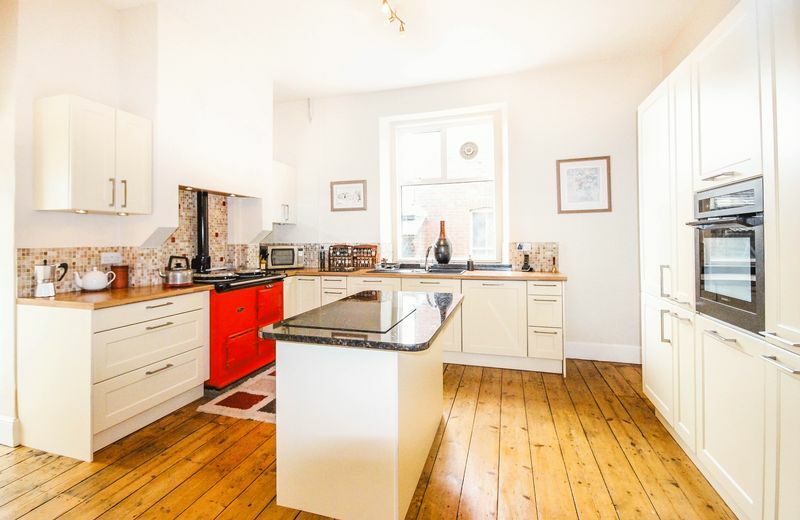 A gas-fired AGA together with De Dietrich electric oven and induction hob set in a central island with granite worktop, provide fantastic cooking facilities! The kitchen/family room is a wonderful space, with a grand feel and feature fireplace - perfect for entertaining. 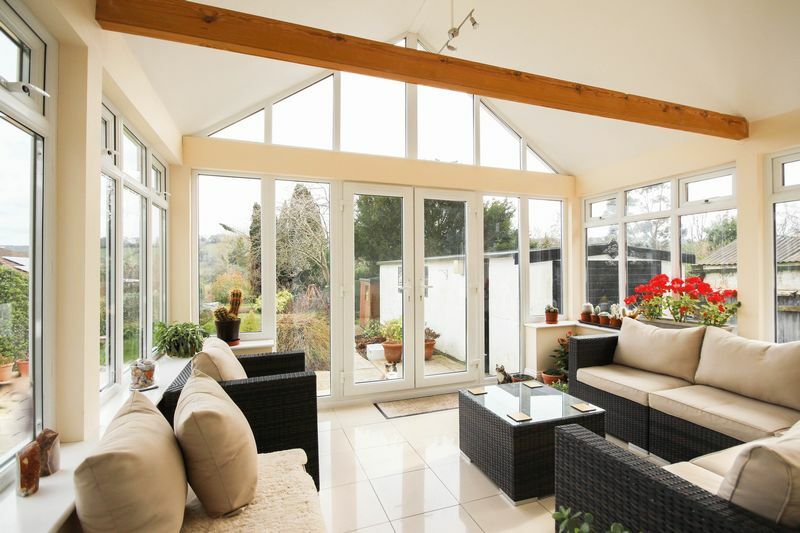 The large A-framed garden room leads off from the kitchen, a delightful spot to spend time overlooking the garden with French doors leading out onto the patio. The sitting room, as with all rooms in the house, benefits from high ceilings. 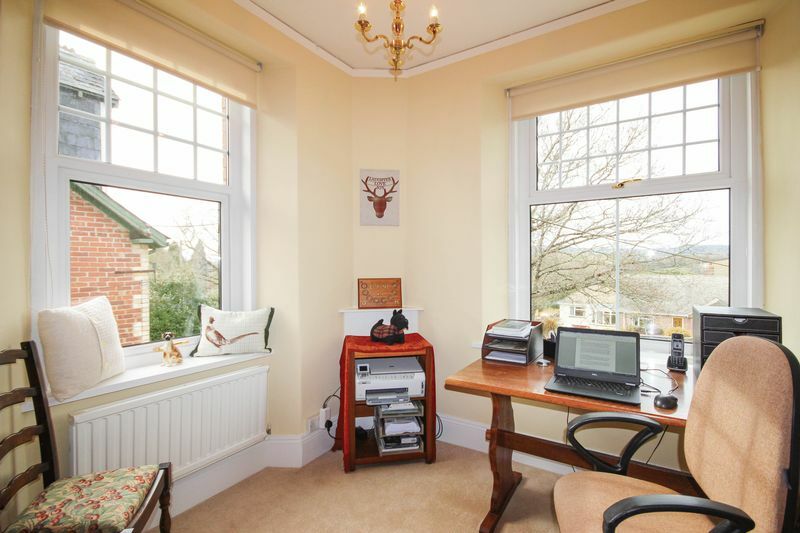 There is an original fireplace and large bay window to the front of the property, providing high levels of natural light. There is a very useful utility room, providing storage for outdoor coats, clothing and boots and a range of wall and base units with rolled edge work surfaces, sink and drainer. 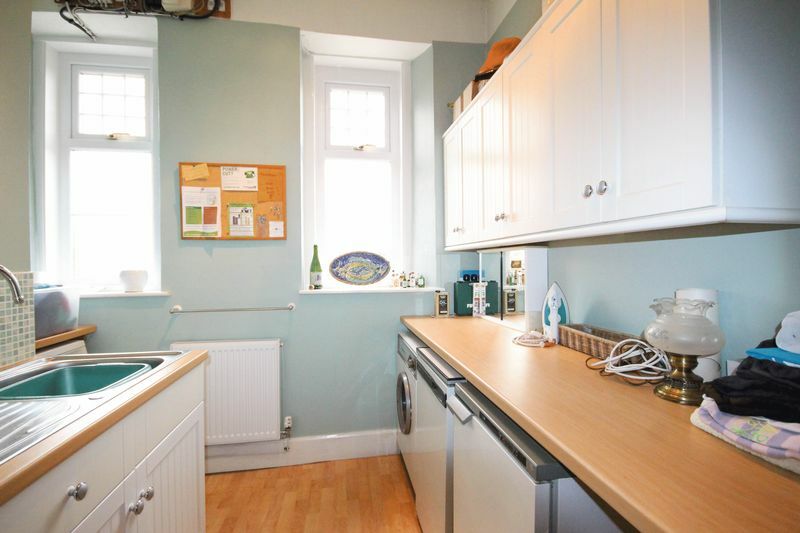 There is space and plumbing for a washing machine, tumble dryer and two further appliances. A downstairs cloakroom and cellar with power and light complete the ground floor accommodation. From the hall, an elegant staircase rises to the first floor, flooded with natural light from the large window that resides above. 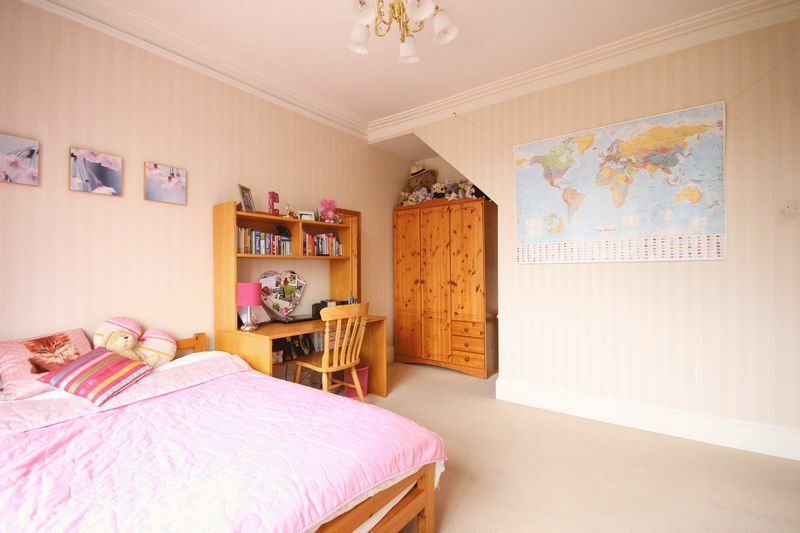 There are five bedrooms, four of which are doubles and two have built in wardrobes. 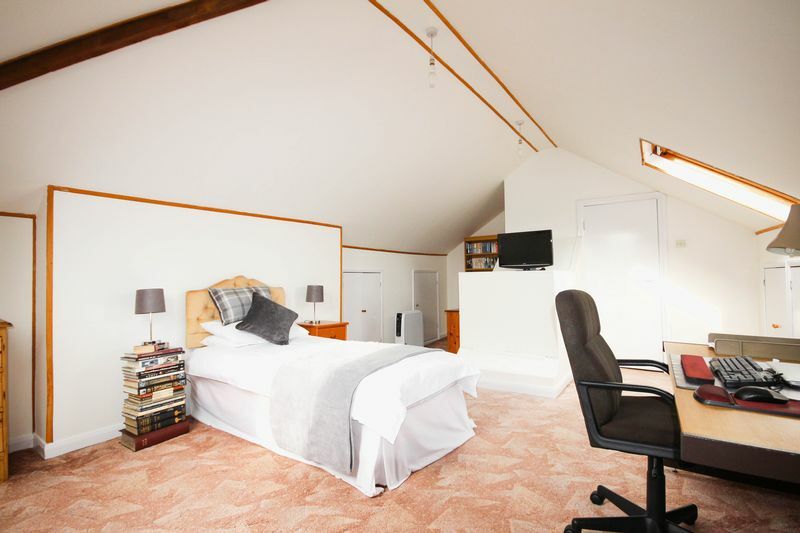 The master bedroom has an en-suite shower room and spectacular far-reaching views across to the tree lined hillside. 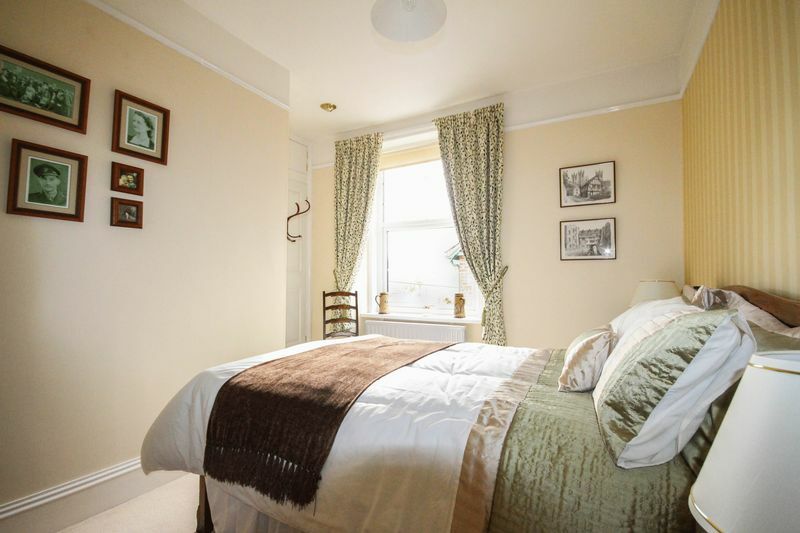 Bedrooms two and four enjoy far-reaching views towards Dartmoor, you can even see Haytor - no wonder bedroom four is currently used as an office! 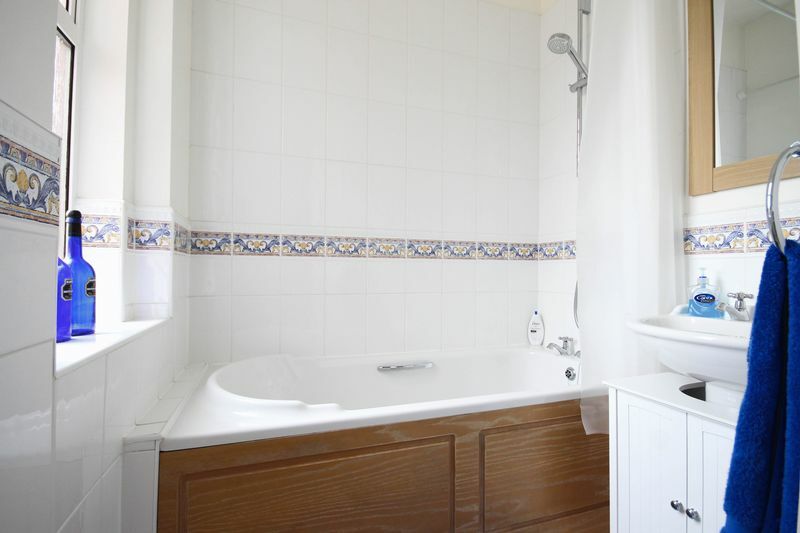 The family bathroom consists of a modern three-piece white suite, comprising wash hand basin, WC and bath with shower over. 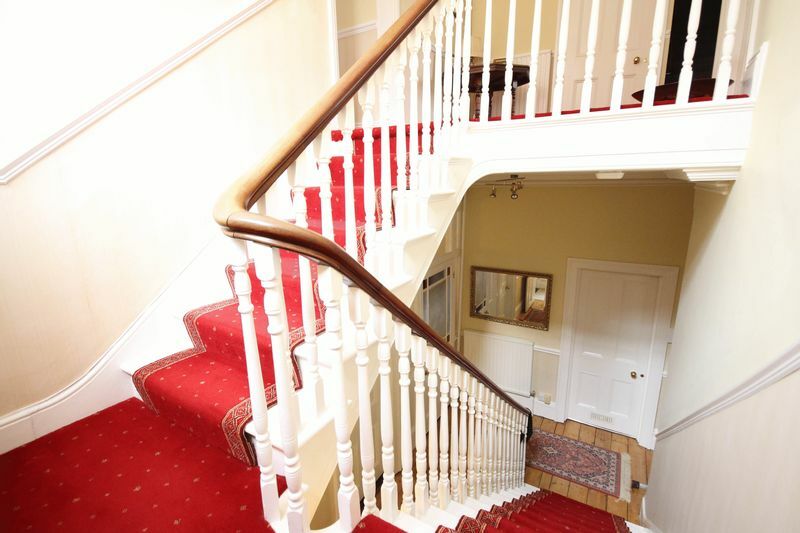 From the first floor landing, stairs rise to the fifth bedroom. 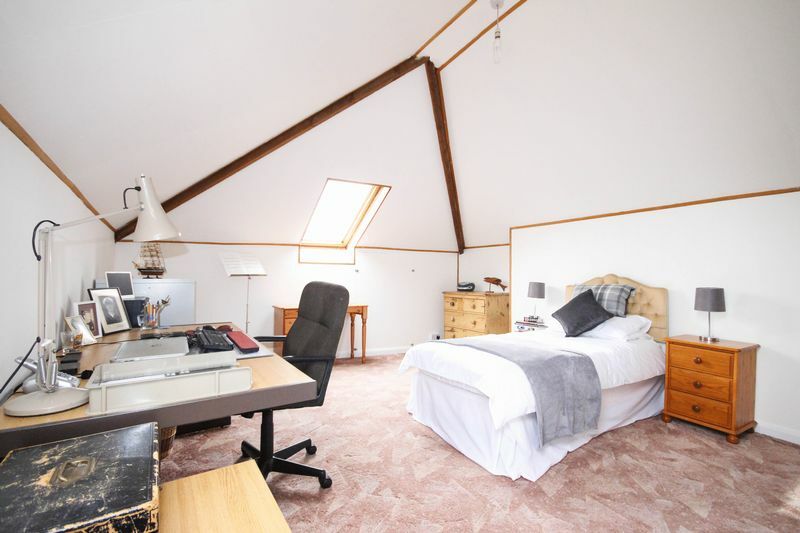 A very large double room with Velux windows, again benefiting from spectacular views. 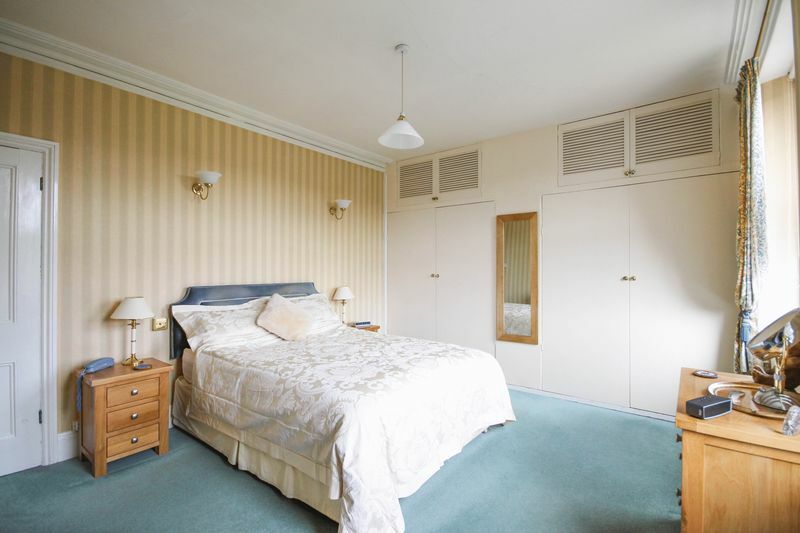 There is easy access storage in this room with numerous built in cupboards to the eaves. (Partly sloping ceiling, some limited headroom). 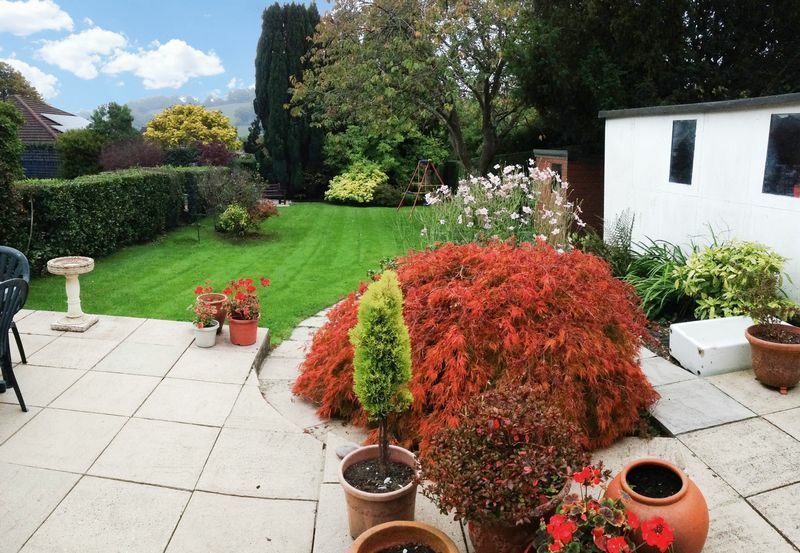 The rear garden is of a very generous size and is well established with many mature hedges, shrubs and trees. From the family room and garden room, doors lead out onto a large patio area - perfect for alfresco dining and entertaining! The garden faces south-east, is relatively level and mainly laid to lawn. 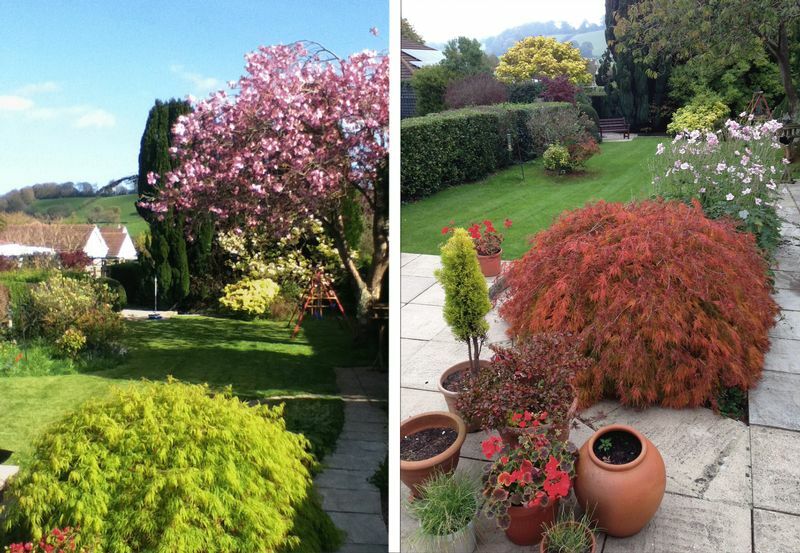 Due to the length of the garden it is possible to enjoy the sun in the morning, afternoon and evening! To the front of the house there is a gravel drive, with a parking area for several vehicles. The remainder is laid to lawn. The drive continues along the right hand side of the property, which is gated, leading to a single garage which is large enough to also be used as a workshop. 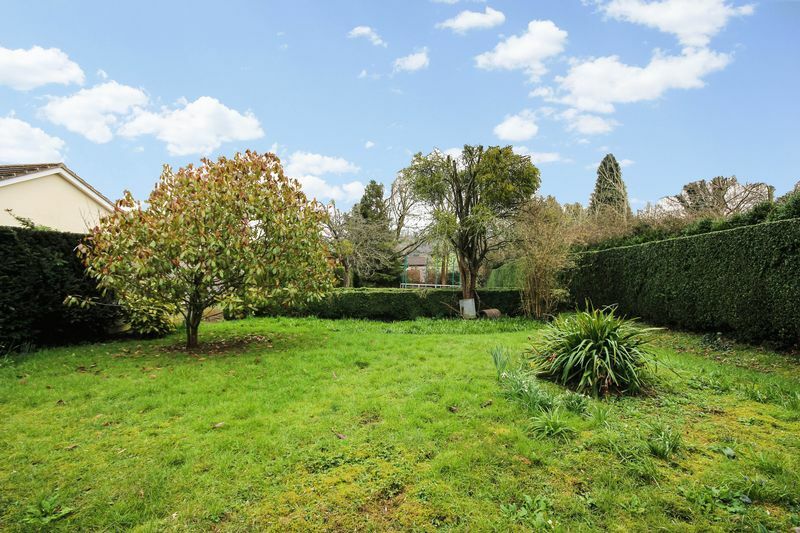 Again, this is a rare opportunity to acquire a property with a garden of this size with such close proximity to the town centre.